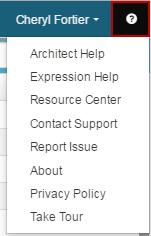 This center contains Architect help articles. Browse through the categories for articles, use the Glossary to look up acronyms and definitions, or use Search to locate information. Architect is an easy-to-learn drag and drop web-based design tool that creates flows for media types. 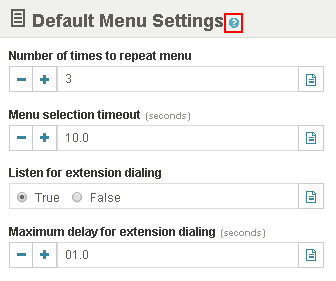 Architect uses menus and straight-to-queue logic most often associated with traditional auto-attendants. However, it also incorporates advanced, feature-rich logical operations such as non-menu digit collection, External Data Access (data dips), conditional logic, and expression editing to help develop the IVR functionality. Architect also provides centralized prompt management with multi-language support. Architect helps administrators and flow authors build call flows that answer a call automatically, present the caller with menu choices, and then route the call according to the caller’s choice. The options presented to your customers might change based on changes to your business. Whether it is a new order, a question, or an issue, routing through Architect allows callers to determine their needs by choosing among options. To ensure that you route your customers in the most direct manner, periodically assess your call flow design. Architect is fully configured and operational–you do not need to download software or perform upgrades. 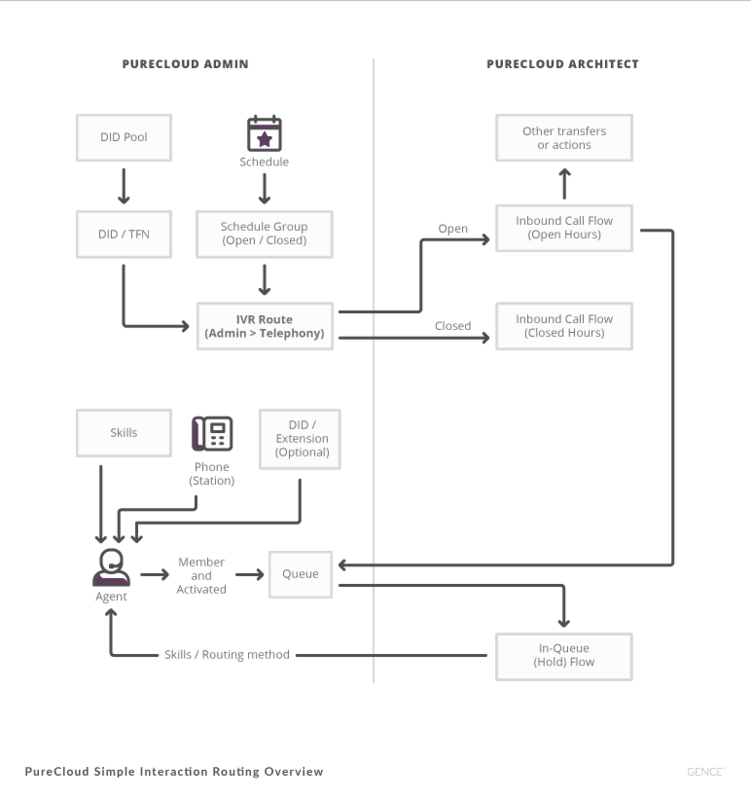 PureCloud stores the software and your data safely off site using the Internet. Whether you’re a beginner, intermediate user, or advanced call flow designer, this tutorial helps you learn about building a call flow in Architect. Using a fictional company with realistic scenarios, the tutorial showcases important Architect features with real-world examples that you can adapt to your own environment. The tutorial also includes video demonstrations to help you navigate the application, do-it-yourself exercises that give you a feel for using the features yourself, and links to suggested content and downloadable sample flows. For more information, see the Get started with the Architect tutorial.